COLUMBIA — Earnest Ross sat back in his chair and stared at the ceiling of the interview room. Missouri had just lost in the second round of the National Invitation Tournament to Southern Mississippi, and the senior guard started to realize his college career was over. COLUMBIA — Mike Clarkson jokingly sent Missouri’s Tim Fuller a text asking the coach if he would let his son score a bit more after a 14-point performance in the Tigers’ opener. Fuller proved prescient when he told the nervous father not to worry. The Missouri Tigers will have a very different look next year with the loss of Phil Pressey, center, graduating seniors and transfers. Missouri junior guard Phil Pressey announced his intention to enter the 2013 NBA draft, ending his career as a Tiger and leaving behind an inexperienced backcourt in Columbia. Pressey, who has signed with an agent, announced his decision on Wednesday. According to NCAA rules, when an athlete signs with an agent her or she is no longer able to compete at the collegiate level. Pressey’s departure comes on the heels of Negus Webster-Chen announcing he will transfer. The only other point guard who has seen significant action for Missouri this season was Keion Bell, who is a senior. The two likely candidates to take over at point guard are Jordan Clarkson and Wesley Clark. Clarkson sat out the 2012-13 season after transferring from Tulsa, where he average 16.5 point per game as a sophomore. Clark, meanwhile, will enter the program as a true freshman. A four-star recruit of Romulus, Mich., according to Rivals.com, Clark has the promise to become Missouri’s starting point guard eventually, but it’s tough say how much he will contribute right away. Even Pressey only started 12 games as a true freshman. 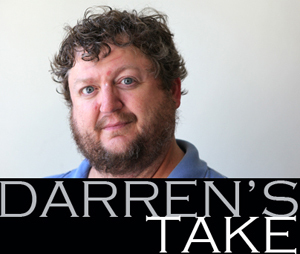 Pressey’s production won’t be easy to replace. While he shot only 37 percent from the field, he averaged 11.9 points and 7.1 assists per game this season, setting the Missouri career record for assists in the process. Despite the impressive statistics, Pressey was plagued by questionable decision-making late in games and finished his career 0-3 in NCAA tournament games. Leaving Missouri without winning was the hardest part of the decision for him. “I wish we could have brought home a national championship banner, but coming to Mizzou was the best decision of my life,” Pressey said in a release from the school. Beyond the depleted backcourt, Missouri also has to find a way to replace seniors Laurence Bowers and Alex Oriakhi, who accounted for a big chunk of the team’s production in the paint. Tony Criswell received more minutes than any returning frontcourt player, but the team’s roster is inexperienced in that area as well. With three scholarships remaining, coach Frank Haith still has a chance to add to the roster. With the departure of Phil Pressey, the last of coach Mike Anderson’s recruits is now gone, and the Tigers’ roster for the 2013-14 season will have been built entirely by Haith and his staff. Missouri junior guard Phil Pressey announced his intention to enter the 2013 NBA Draft on Wednesday morning, forgoing his final season of eligibility with the Tigers. After a season in which Pressey became one of the polarizing figures on the team, putting up impressive assist numbers but shooting a poor percentage from the field and struggling late in games, much of the reaction on Twitter was critical of Pressey. Here is a look at what fans had to say about Pressey’s decision to leave and his future in the NBA. LEXINGTON, Ky. — Dorian Green scored 17 of his 26 points in the first half and eighth-seeded Colorado State used good shooting and great rebounding to run away from No. 9 Missouri 84-72 Thursday night in the NCAA tournament. Green, who went scoreless with five turnovers in last year’s second-round upset to Murray State, did much better this time as the Rams shot nearly 58 percent in the first half. First-year Rams coach Larry Eustachy earned the victory with his fourth tournament team, but the road gets tougher as they advance to face top-seeded Louisville in Saturday’s third-round Midwest Regional game at Rupp Arena. 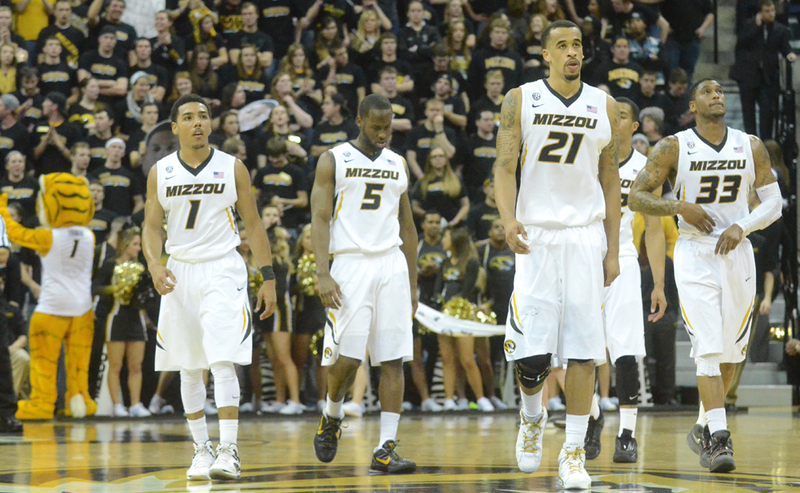 Phil Pressey’s 20 points led the Tigers (23-11). Alex Oriakhi scored 16 and Jabari Brown added 14. Greg Smith and Jon Octeus each added 12 points while Wes Eikmeier added 11 for Colorado State (26-8), which was rarely threatened by Missouri. The lopsided outcome was surprising considering the teams’ similarities that made this an intriguing matchup. Besides balanced offenses with at least four starters averaging in double figures, Colorado State and Missouri also have thrived on the glass. The Rams entered the game with a rebound margin of 12.1 per game, tops in the nation, with the Tigers third at 9.6. Iverson averaged 14.7 points per game to key Colorado State’s return to the tournament along with Eustachy, who led Southern Mississippi here last year. The 6-foot-10 senior has been helped by Eikmeier (12.7 points) and Green (12.8 points) and Smith (11.1). Missouri meanwhile featured one of the field’s most balanced offenses, with Laurence Bowers (14.4 points) leading five starters averaging at least 11 points per game. Pressey has been one of the Tigers’ most interesting stories, a talented guard who has tended to make mistakes in key moments. That made for an entertaining first half that Colorado State led 47-38 by setting the offensive pace before falling into an end-to-end game more to Missouri’s liking. The Rams shot 15 of 26 (58 percent) in the first half and seemed primed to run away from the Tigers. Green was 3 for 3 from beyond the arc. Missouri was 15 of 30 in the first 20 minutes with four 3-pointers. Missouri closed to 49-45 early in the second half, but the Rams responded with a 17-4 surge for their biggest lead at 66-49 lead. The Associated Press named three Missouri Tigers to its All-Southeastern Conference Teams on Monday. Phil Pressey earned first team honors, while Laurence Bowers earned second team honors and Alex Oriakhi was named an honorable mention. Last week, Pressey was given first team all-conference honors from the coaches, who also named Bowers to the second team. Pressey leads the SEC in assists, averaging 7.1 per game. The junior guard is also averaging career highs in points (11.6) and rebounds (3.4). Meanwhile, after struggling through a knee injury early in the season, Bowers came on strong at the end of the season to earn the praise of the SEC media and coaches. The fifth year senior is in the top 10 of the conference for scoring, averaging 14.4 points per game. Bowers has enjoyed success this season alongside Oriakhi, who transferred from the University of Connecticut for his senior season. Oriakhi has played particularly well for the Tigers down the stretch. He has 11 double-doubles this season, including one in the team’s opening round victory in the SEC tournament over Texas A&M. He led the team in points in both games of the conference tournament. Missouri enters the NCAA Tournament as a No. 9 seed and will face No. 8 seed Colorado State on Thursday March 21 at 8:20 p.m. Central time in Lexington, Ky. Inconsistent play has plagued the Tigers this season, with veterans Phil Pressey (1) and Laurence Bowers (21) and transfer Keion Bell (5.) Along with Earnest Ross (33) in this Feb. 19, 2013, file photo. ST. LOUIS — All season, Missouri flashed signs it could be a dangerous team come March. Unfortunately, there were nearly as many times that it showed much less promise. There is a reason the Tigers are a No. 9 seed in the Midwest Regional. Coach Frank Haith has had to integrate a group of transfers into the system. “It has been a challenge, but it’s been a challenge that’s come together because we’re still playing,” Haith said. Leading rebounder Alex Oriakhi (Connecticut) and guard Keion Bell (Pepperdine), who led the team in scoring in Southeastern Conference games, are one-year senior rentals. Sophomore Jabari Brown (Oregon) is averaging 13.7 points and junior Earnest Ross (Auburn) is the SEC’s best player off the bench, averaging 10 points and five rebounds. The Sporting News ranked that one of the best transfer classes in history. The Tigers (23-10) are the only major school in the nation with six players averaging in double figures and are second in the country in rebounding, reflecting depth and versatility. But they have yet to put it all together for Haith, last year’s national coach of the year, and get a tough test out of the box against No. 8 seed Colorado State (25-8) on Thursday in Lexington, Ky.
Missouri was a perfect 16-0 at home, including a victory over then-No. 5 Florida, but just 2-8 on the road. The 6-foot-8 Oriakhi has been a presence inside, averaging 11 points and 8.6 rebounds. He has taken on a much larger role than he had with Connecticut’s national title team in 2011. Haith often touted Bell for all-SEC honors. The last 11 games of the regular season, Bell averaged 15.7 points on 58 percent shooting. Brown leads the team in 3-pointers even though he wasn’t eligible until the semester break in mid-December, and had a pair of 23-point efforts. Ross had a season-high 23 points against Auburn, his old school. Melding that group with point guard Phil Pressey, the lone holdover starter from the 30-win team in Haith’s first season, has not been easy. Pressey was a first-team All-SEC pick with six games of 10 or more assists and four double-doubles for points and assists, a school record, yet struggled with a spate of questionable late-game decisions. The tournament gives Pressey a chance to put those troubles behind him. Forward Laurence Bowers, who missed last season with a knee injury, is the only other player with NCAA experience. Missouri is in the tournament for the fifth straight season, matching the school’s longest runs, from 1986-90 under Norm Stewart and from 1999-03 under Stewart and Quin Snyder. ST. LOUIS — Selection Sunday held zero allure for Phil Pressey, who wasted no brain power fretting about where Missouri might fit in after an inconsistent season. The Tigers’ point guard, whose scattershot late-game decision-making was a large contributing factor in several almost-wins, was just fine with the No. 9 seed in the Midwest Regional and a matchup against Colorado State (25-8) on Thursday in Lexington, Ky.
Missouri (23-10) is in the tournament for the fifth straight season, tying the school record, and second straight time under coach Frank Haith. Unlike last March when the school was a No. 2 seed coming off a Big 12 tournament championship, there’s little buzz surrounding this year’s edition that enters having lost two of its last three. Pressey, the preseason SEC player of the year, is the lone returning starter from last season’s 30-win team that appeared primed for a deep run but was one and done after getting upset by No. 15 seed Norfolk State. All season, Haith has worked on melding a roster heavy on transfers including two seniors, forward Alex Oriakhi and guard Keion Bell. Oriakhi played on Connecticut’s 2011 national title team. He’ll offer simple advice to teammates. Missouri is the only school in the country with six players averaging in double figures, making depth a strength. “None of us want our season to be over with,” said forward Laurence Bowers, a fifth-year senior who missed last season with a knee injury and the acknowledged team leader. “I really think we have a team that can go on a special run. The Tigers are a No. 9 seed due to inconsistency and a failure to close out games, especially on the road where they were just 2-8 and dropped out of the Top 25. Squandering a 14-point second-half cushion in a two-point loss to Mississippi in the SEC tournament quarterfinals was just the latest example. Saturday was difficult for Haith, who re-played the Ole Miss loss in his head, but as the time neared for the bracket unveiling, the excitement returned. Haith keeps insisting he sees signs that he has a team ready to contend. 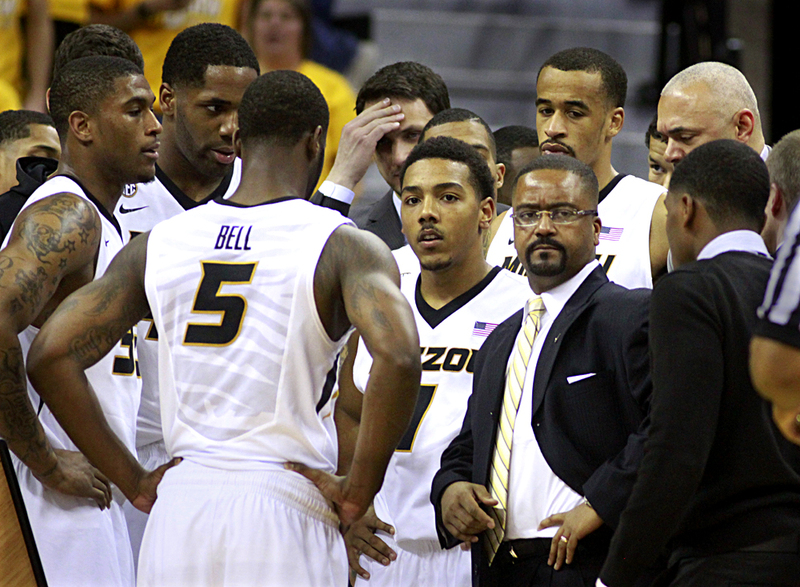 “The sense of urgency, I thought we had it in the conference tournament,” Haith said. “Obviously, Ole Miss played great down the stretch and beat us, but I think this team has been playing great the last half of the year. Phil Pressey and Laurence Bowers were named to All-Southeastern Conference teams today. Pressey earned first team honors, while Bowers landed on the second team. While Pressey has drawn criticism for his performance late in games, the SEC coaches recognized him for another outstanding statistical season. He leads the conference in assists per game with 7.1 and is No. 7 nationally in that category. His 221 assists on the season are just two shy of his Missouri single-season record of 223, which he set last season. After being named to the SEC Community Service Team on Monday, Bowers was named Second Team All-SEC on Tuesday. Despite missing five games with a knee injury, Bowers lead Missouri with seven 20-point games, including three straight entering the conference tournament. Bowers is averaging 14.8 points and 6.3 rebounds per game while shooting more than 55 percent from the field. The Tigers tip off in the SEC Tournament on Thursday night in Nashville, Tenn. Missouri will play the winner of Texas A&M and Auburn at 9 p.m. Central time.